Yes, there’s something about Genting Highlands again but this time it’s nothing I came ever across before until now. If you’re fond of sweet stuffs that’d melt in your mouth (and in your hand), you might really wanna check this out. Until the 3rd of June, there will be a Chocoholic and Candylicious exhibition happening at the Universal Walk in First World Plaza which features 25 international brands and over 1, 000 variety of the finest chocolates from all around world. 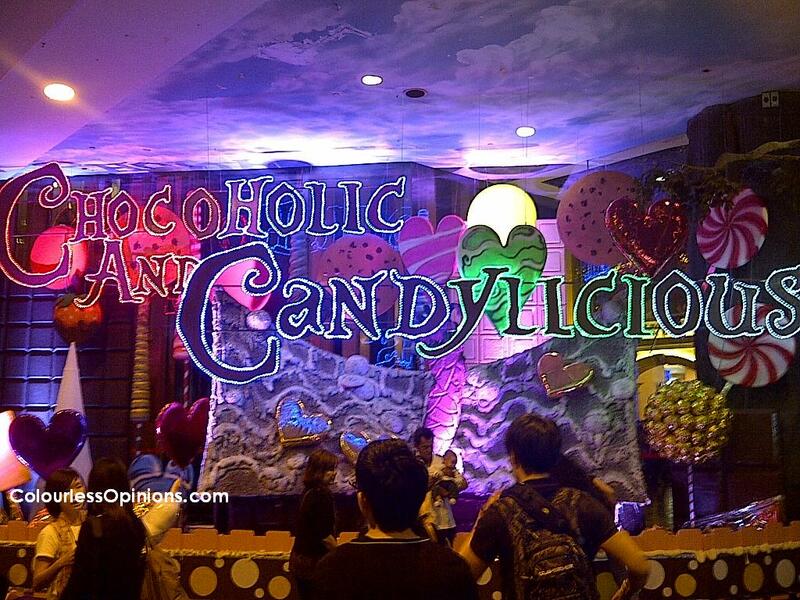 Along with Nuffnang and the other bloggers, we got to spoil ourselves with loads of candies during the launch last Friday. 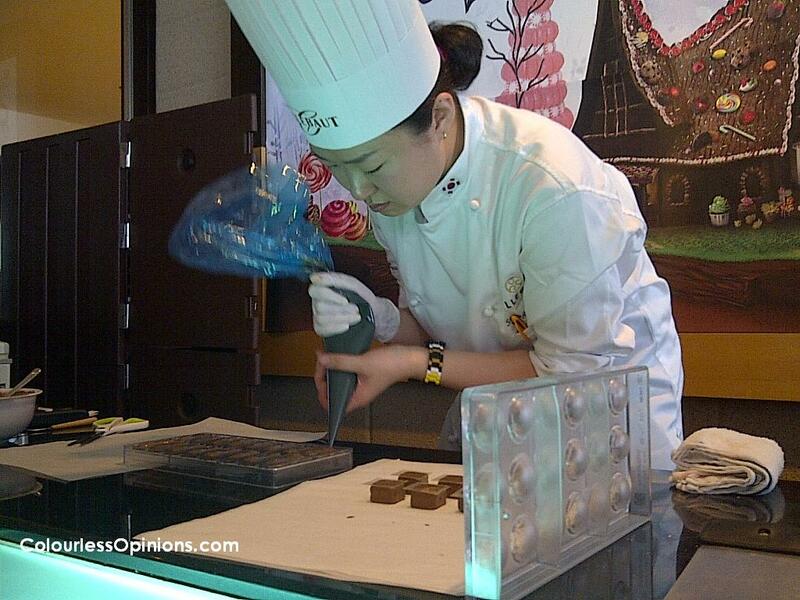 When I was there for the hi-tea, a highly respected chocolate chef was present to do a little chocolate-making demonstration for the media. Lee Seung Yun (image above) was the first place winner of the World Chocolate Master 2011 Asia Pacific Selection and the third runner up of the World Chocolate Master 2011 Final in Paris. She is currently the ambassador for Callebaut, a major chocolate producer for consumers and professional chocolatiers. She made some adorable bunny chocolates (top left of the image below) for the media but they were all snatched up quite quickly, leaving me with none. But it’s okay. At least I didn’t have to feel like I ate a cute bunny. I did, however, manage to grab one chocolate macaroon and it was absolutely delicious. Bitter, but lovely. 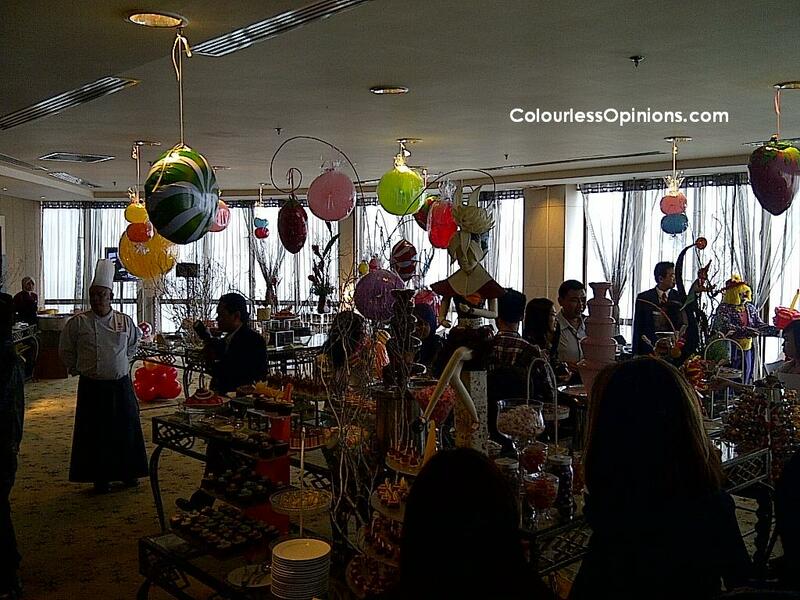 The private room at Coffee Terrace is not gonna fit a large crowd but it definitely did fit a massive variety of quality chocolates, candies and cakes. No repeats, every single type of stuffs there were genuinely different. Not just the shape and design of their appearances, but the taste as well. There were many that I liked, and many that I didn’t like, but ultimately, too many for me to try within an hour. It’s truly impressive. Just look at all the images I posted here. If I were to take one kind by one, this write-up would have appeared more like a photo album. A mouth-watering photo album, that is. The Chocoholic & Candylicious Hi-Tea will be available at Coffee Terrace Private Room from 3pm to 6pm daily throughout this weekend. RM45++ for adults and RM35++ for children. 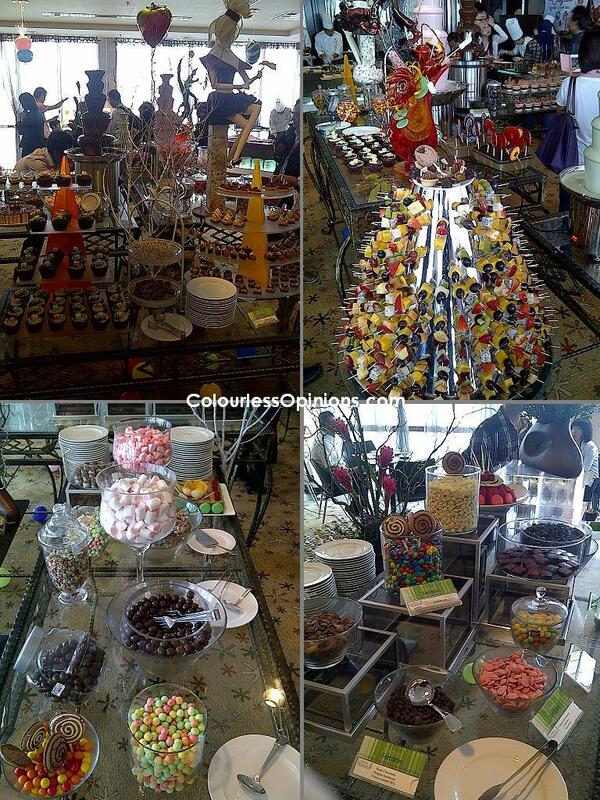 That’s quite a reasonable price for a top class all-you-can-eat chocolate & candy buffet if you think about it. Buying a good bar of chocolate would already cost us 10 bucks, more or less. If you don’t wanna go for the hi tea, you could head down to Universal Walk and buy yourself some chocolate. You may look at some of the photographs of the chocolates and candies I took at the mini market. 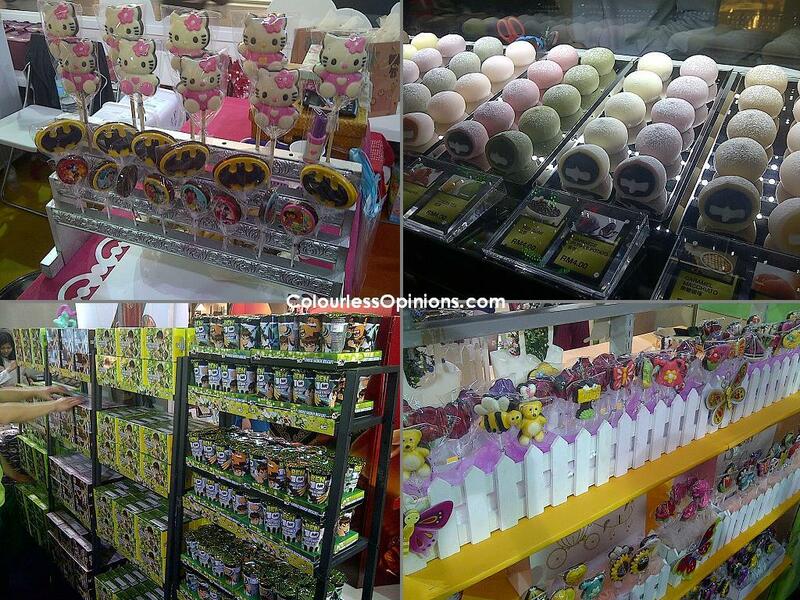 There’s even Ben 10 chocolates, and Batman logo & Hello Kitty lollipops. I’m sorry but there’s just too more than I can describe with my words. I’ve leave you with an photograph of two hot promoters of the exhibition. They received a lot of attention due to the yellow wigged’s generous showcase of cleavage. Yummy, indeed. 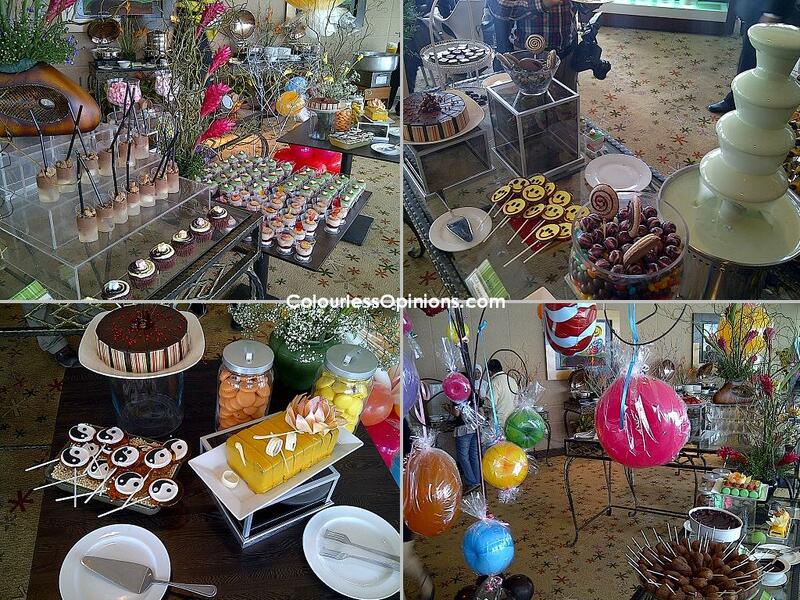 You see, there’s something for everyone and not just for kids and chocolate & candy fans. 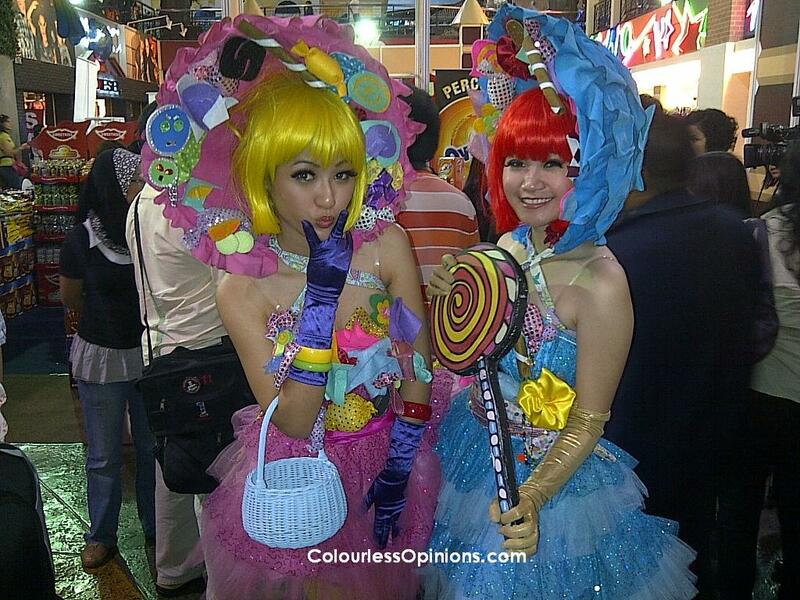 Candy girls, I sure wouldn’t mind eating them. 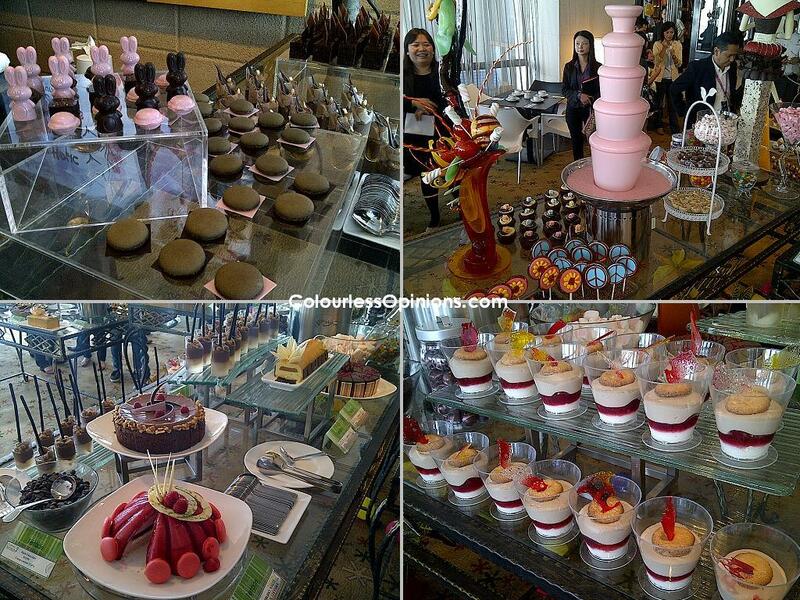 Wow…all those sweet desserts!!! Oooo…I would love that but have to control myself…unfortunately. At my age, mustn't take to much sugar. hehehe…i can imagine going sugar high just by the smell!